Peter Persona became involved in community theatre as a teenager. He developed an interest in variety entertainment during this time after attending numerous fairs and festivals. Peter has always been interested in puppetry. This curiosity grew after he attended a puppet building workshop with Noreen Young. 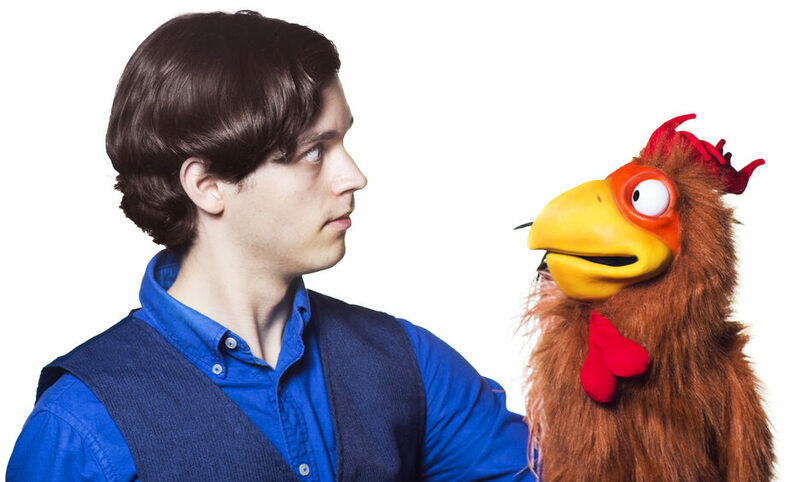 In spite of this, he never thought about performing with puppets until he was about to graduate high school. Peter found himself faced with the decision on what path to take for his future, so he did what any forward thinking person would do: Peter put his nose to the mirror and learned how to talk without moving his lips. Peter and Fredric Hoppertoad made their first public appearance in a Talent show at the 150th Lansdowne Fair. They were honoured to be awarded with second place. 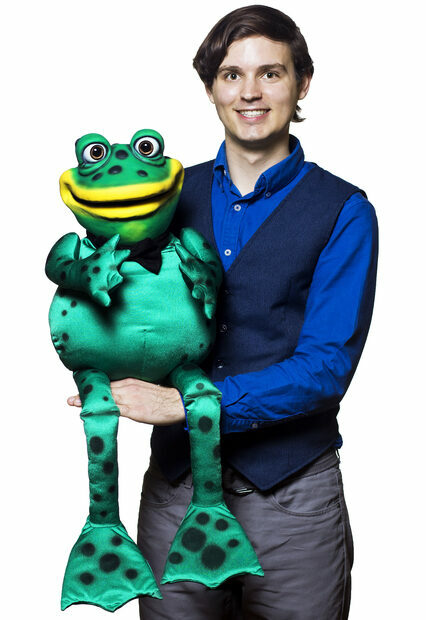 He began performing family shows with his lovable puppet pals Fredric Hoppertoad and Humphrey the Rooster a year later. Some of Peter’s most memorable experiences to date include working with Autism Ontario, Neon Night Kingston, the Lansdowne Fair, the Boulevard Club and performing eight shows at SpringWorks: Indie Theatre & Arts Festival. Peter draws inspiration from the works of Ernie Coombs and Rob Evans to name a few. He is motivated to create encouraging and uplifting productions for kids and families. Peter Welch has a diploma from the Toronto Academy of Acting, is an avid fan of juggling and and lives near Kingston Ontario. Peter strives to connect and engage his audiences with their imagination. Whether it’s listening to Humphrey the Rooster crow out a tune, explaining the how-to’s of summoning a genie, chuckling at one of Fredric Hoppertoad’s impressions or anything in between. Does any of this interest you? If so, please contact Peter. He’d love to hear from you.